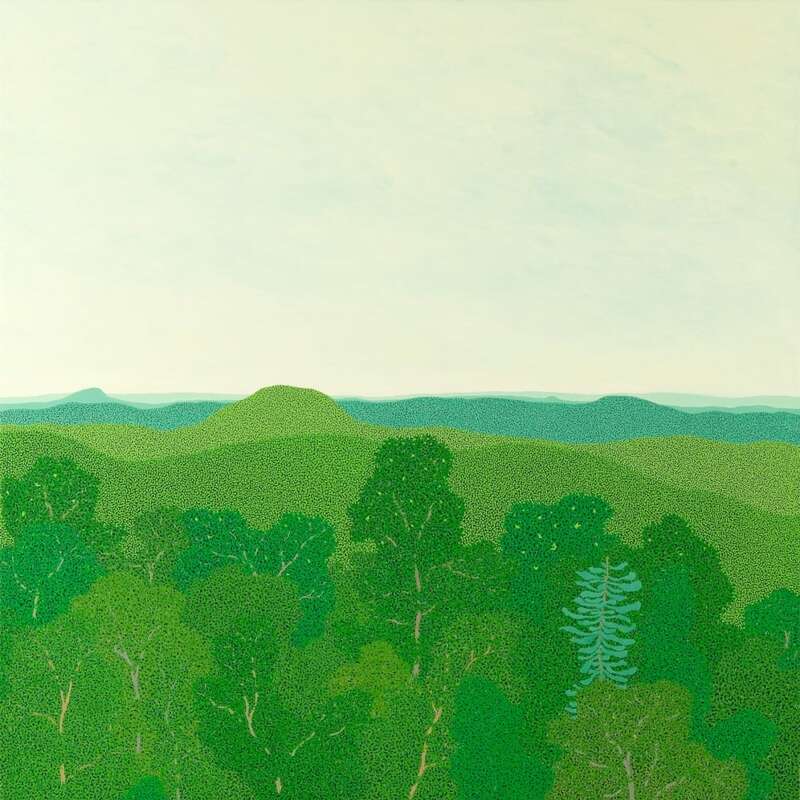 Gregory Hennen paints the mountains and valleys of the dramatic landscape of his Virginia home. A naturalist as well as a life-long painter, Hennen has a close relationship with his environment. On his daily walks he fills sketchbooks chronicling the land, the effect of passing light and the seasonal changes. By building up tens of thousands of small brush strokes, Hennen’s paintings are a complex collection of small marks gathered and made solid. The landscape paintings are at once astoundingly complex and perfectly calm. Hennen makes what can be described as ego-less paintings, perfectly crafted and stunningly beautiful; his paintings are a joy to take in.